EMS Dispatch Software is the first powerful step in our integrated Dispatch, ePCR, & Billing Solution. To discover how our EMS Dispatch Software improve your EMS workflow, call 1-800-726-4690 to talk with an AIM representative today! 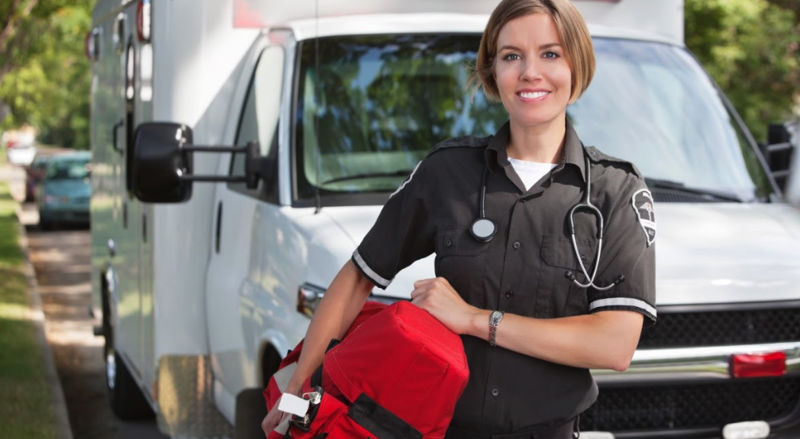 Learn how our EMS Dispatch Software can help your team. Gain the ability to understand patient needs and limitations before the EMS call is ever dispatched with built-in alerts that let you know if there’s patient prior history, if medical necessity or prior authorization requirements are being met, and if they have any past due balances on their account. by AIM allows you to budget a low recurring monthly cost instead of larger recurring annual expenses and minimizes the overhead required to build, secure, and support an internal data center. 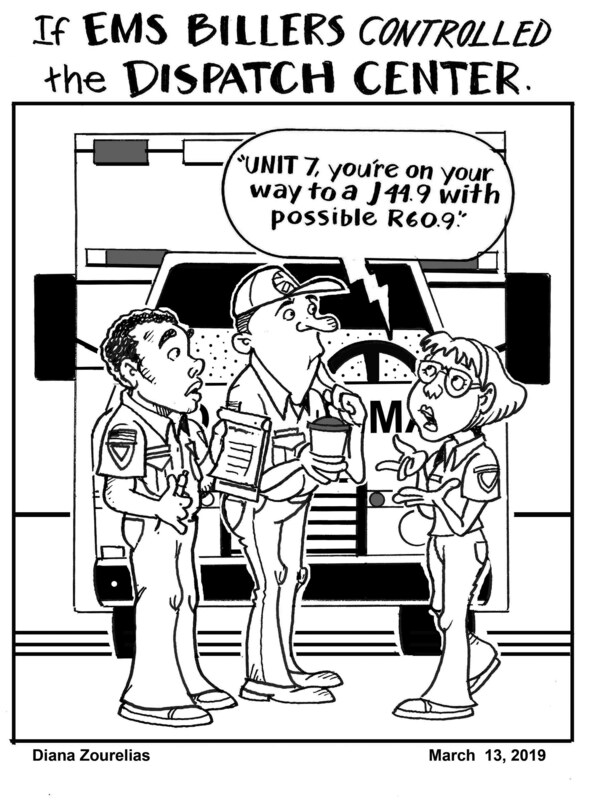 Spend less time and money on internal hardware, maintenance, and support of your EMS Dispatch Software. comes with unmatched online availability, which means your EMS services isn’t losing time and money due to hardware failures and downtime. No more worrying about the security of your EMS Dispatch data when AIM handles all back-ups, disaster recovery, patches, upgrades, and performance monitoring for your EMS service. Our EMS Dispatch Software has online technology that ensures your daily EMS dispatching continues without interruption – keeping your dispatchers productive. 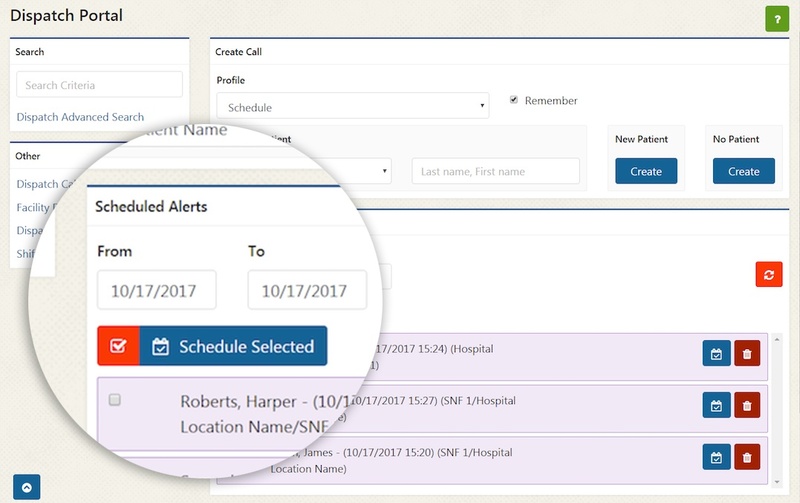 Collect all important EMS call intake information quickly and get the call activity from dispatch, to patient care, and over to EMS billers in record time, and with accuracy that results in higher EMS reimbursement. 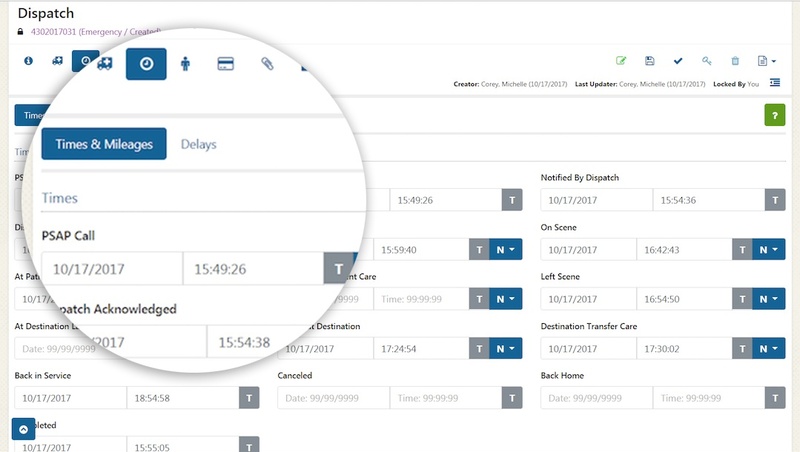 Increase the accuracy and completeness of call intake and dispatch scheduling with data flows that focus on key details related to different incident types. 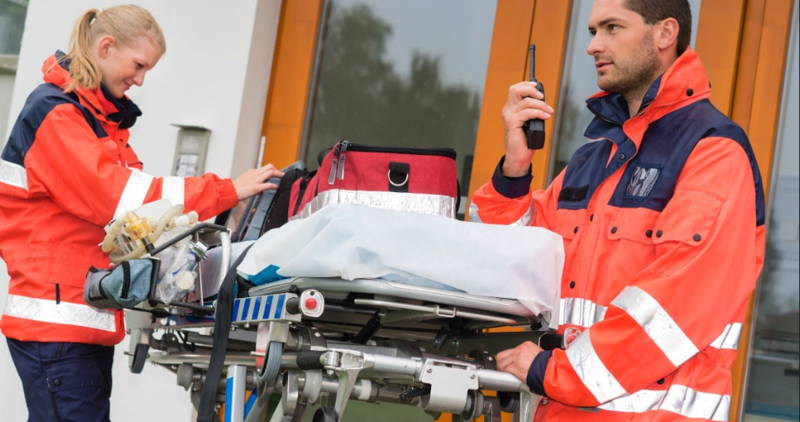 considers the fact that the Emergency call workflow is different than a Scheduled call workflow, allowing call takers and dispatchers the ability to work through intake, notifications, scheduling, and collaboration with EMS crews and managers as efficiently as possible. 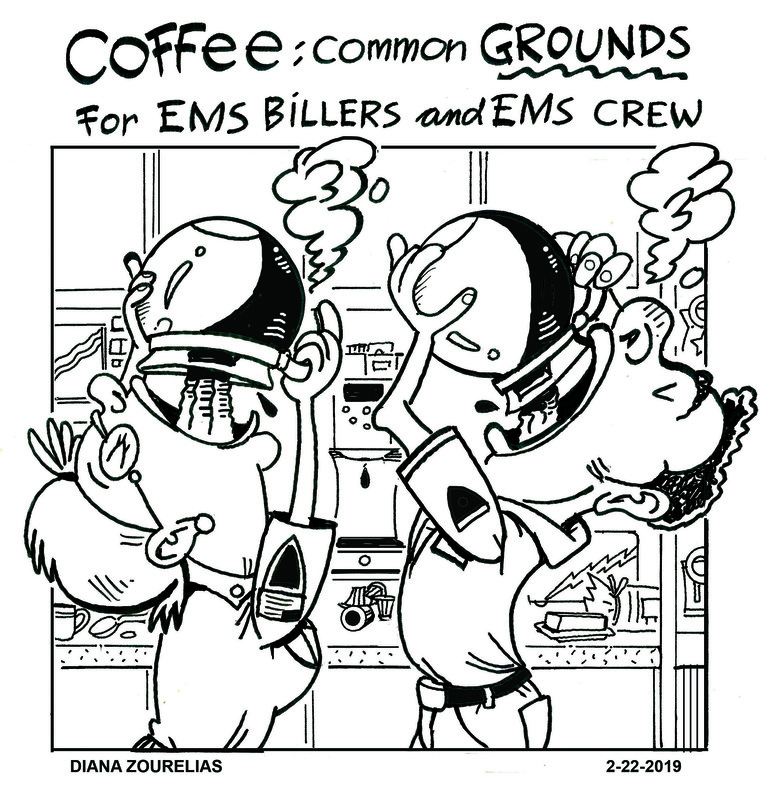 EMS dispatchers can open multiple call queues at the same time and filter statuses for easy tracking of any and all call statuses. Pass audits confidently with intelligent workflow and compliance tools that help EMS dispatchers meet the demands of industry and government compliance requirements. 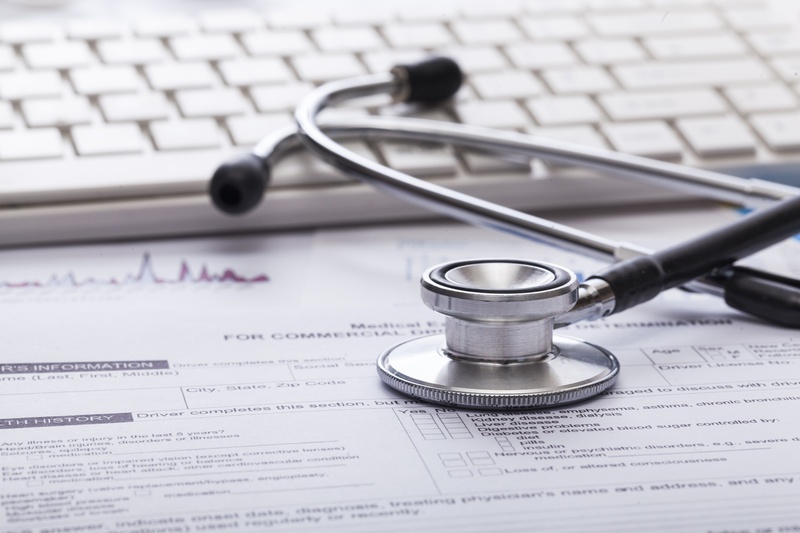 Improve EMS call intake documentation quality with the ability to attach relevant EMS documentation directly to the dispatch record (face sheets, PCS/PMNCs, etc. ), making it easily accessible if/when an audit occurs. comes with built in tools and resources (Privacy Module, Audit Tracking, and SOC Certified Disaster Recovery) that provide peace of mind in knowing your EMS Dispatch data is safe. Gives managers, supervisors and dispatchers detailed reporting capability that monitors pending calls, response times, unit status, and more. Allowing the ability to make informed decisions real-time. EMS crews get critical, time-sensitive call information, cutting down on duplicate data entry and improving accuracy of patient care reports. streamlines the emergency and scheduled workflow processes to ensure important call details are collected and shared efficiently and expediently. 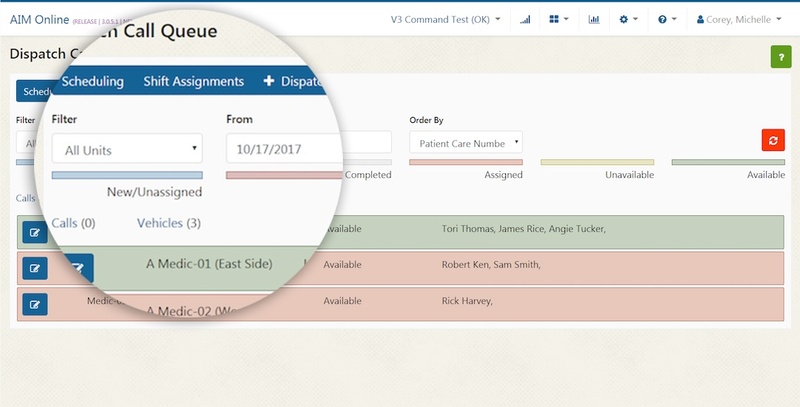 paired with our ePCR and Billing Software work together to reduce duplicate date entry by sharing patient account information. The integrated systems lets dispatchers, crews, and billers get the latest on insurance details and prior history, as well as carry over information collected from the time the call comes in, all the way through to getting the bill out the door. by AIM is designed to automatically walk call takers and dispatchers through the natural progression of an ambulance call. The automated workflow shortens the learning curve, reduces training costs, and builds confidence among new and seasoned dispatchers. 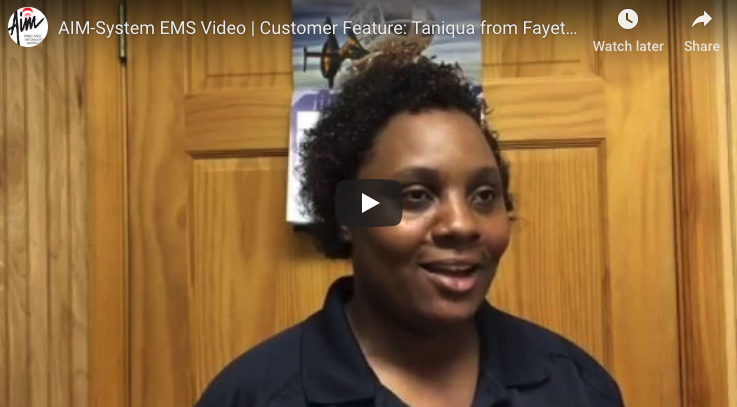 Get a first hand look at our EMS Dispatch Software.